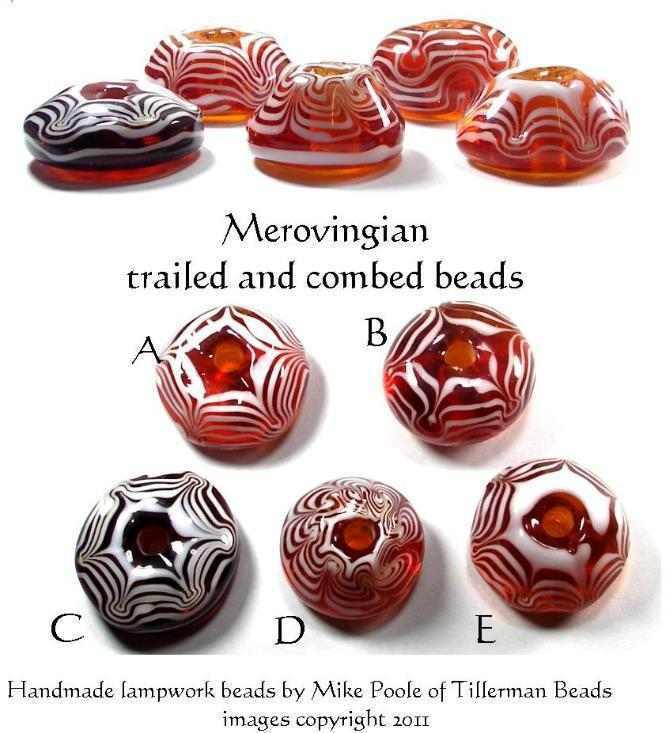 Five unique beads based on examples of continental Merovingian trailed amber glass beads based on examples from the 6th century. These beads were created to be displayed with the decoration facing outwards on a flat surface. The beads range from approximately 28-33mm at the base but vary from bead to bead. Each bead is individually handmade, there is only one of each available. Please select your choice from the menu below.